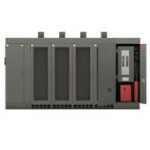 UPS Protection Acquires Automated Power! UPS Protection is proud to announce the launch of our new website showcasing not only the products we offer but also the services. Take a look and tell us what you think.